If you’re in need of a new ride but have been dealing with no credit, you've come to the right place! However, before you dive in and accept the first offer you receive, there are a few things you should know about these arrangements. 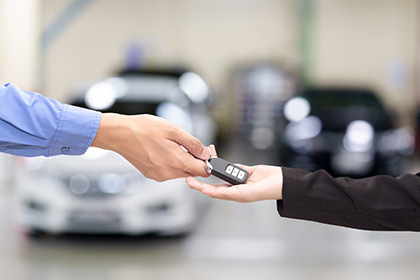 Getting all the information before making a selection is imperative, and helps to ensure that when you leave our lot in your new ride, everyone’s happy. While you can generally expect higher interest rates when getting no credit car loans, not all interest rates in this realm are created equal. Shop around to ensure you’re getting the best deal so you’re able to enjoy your purchase over the coming months rather than worrying about how to pay for it. Because dealing with individuals who have less than pristine credit can be risky, many lenders and financers will offer shorter repayment periods, higher interest rates or even both. This is simply to ensure that they’re able to get their money back, but it’s something you should consider if you’re looking into these types of loans for any purchase in the near future. After you’ve considered all this, if you’re still looking for no credit car loans, then we hope to help you find the financing you need in any way we can. Regardless of how you pay for your new ride, we’ll have you in the car of your dreams and out on the road in no time at all.